Price: 35,000 won per person. The reservation deposit is 5,000 won. 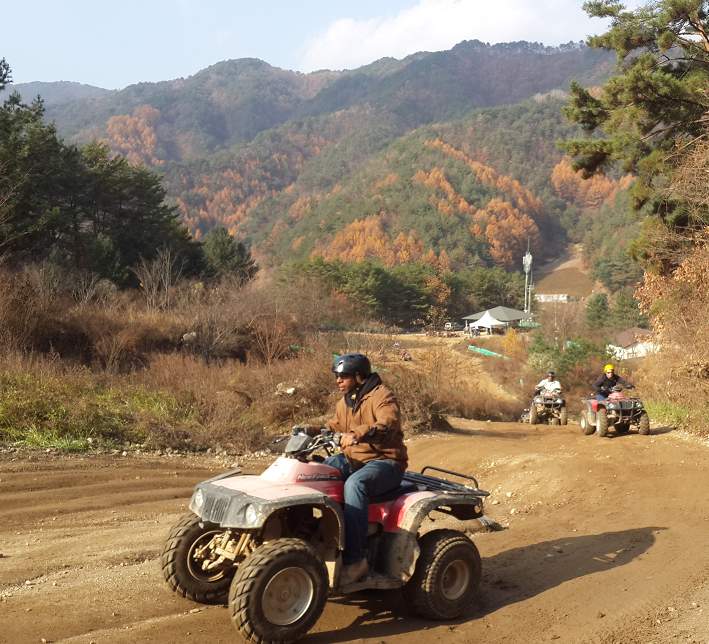 So you will pay 5,000 won to reserve the activity, and 30,000 won at the ATV location. Duration: The ATV course is 30-40 minutes long. Other activities: You can also book rock climbing, bungee jumping, paintball, rafting, and the slingshot by clicking the "book now" button.